According to a recent release by NPD Group, a top market research company, Britain is an indomitable force in the food service sector. The report also shows that London alone accounted for 20.2% of this industry. This means that London's restaurant sector is worth more than £10 billion a year. That’s a lot of chips, fish, chicken, and burgers! NPD stresses that UK’s food service sector keeps on growing because restaurant owners have embraced new and innovative concepts to make their businesses future ready. In fact, another report found out that UK’s top 200 chain restaurants have introduced more than 5000 new menu items over the last one year to appeal to the ever-changing customer tastes and wants. Restaurants have also been betting on trendy ingredients to compete in an ever changing market. If you visit a restaurant today, you will find items that you would never have found on the menu a few years ago. The robust economy and technological advancements have also played a major role in boosting the food service sector. The government has come up with rules and regulations that provide a suitable business environment for restaurant owners in England. There is support everywhere. However, despite the fact that the restaurant sector is growing, commercial kitchens are shrinking. Overall, it is estimated that commercial kitchens have shrunk by a third over the last five decades due to the ever-increasing lease amount. In South East of England, for instance, rents have tripled, and this is forcing restaurant owners to reduce their leased floor space. To increase profitability, food businesses in England are now dedicating more space to front-of-house and reducing the overall kitchen space. You are probably wondering how they are surviving with these small kitchens. Here is how. The Combi Oven: This piece of equipment is embraced by chefs for combining three modes of cooking in one oven. The oven can cook, steam, and hold food. It allows for better precision in the cooking process by controlling both humidity and temperature in the cooking chamber. The Combi oven also reduces shrinkage of the food you are cooking. These ovens are small and are getting smaller every day making them ideal for small commercial kitchens. 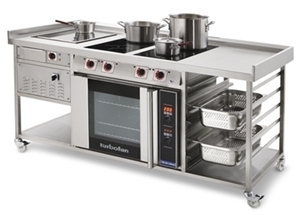 Speedcook Oven: In the food service sector, speed is important. A recent study shows that clients like it when they are served faster. If you don’t serve your clients quickly, they will be poached by your competitors. It is, therefore, important to go for kitchen equipment that cooks faster. Speedcook ovens are two to four times faster in cooking than conventional ovens, and they enable chef to serve clients faster. 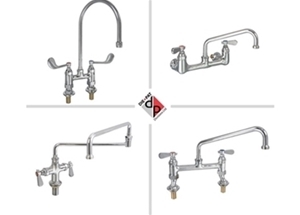 High BTU Burners: What is a BTU? In technical terms, a BTU refers to the amount of heat required to increase the temperature of water by one degree Fahrenheit. In simpler terms, a BTU measures the heating power produced by ovens and gas cook-tops. The higher the BTU, the hotter the range can get, which means shorter cooking times. Higher BTU burners help chefs in commercial kitchens cook faster, and this helps them to serve their customers faster and more efficiently. Apart from multi-functional equipment, restaurant operators are also looking for smart appliances. They are looking for appliances they can interact with through an internet connection. Most of them have realized that smart appliances are important because they allow chefs to stay in touch in their operation even when they are not on site. They also help reduce the number of people working in a small kitchen. Technology also enables restaurant operators to distribute cooking programs, receive notifications, update software, and transmit settings. The innovation also allows appliances such Combi ovens to communicate with monitoring devices and perform self-diagnostics. It’s true that today’s commercial kitchens have shrunk, but that does not mean they look the same as traditional kitchens. Today’s kitchens have evolved into versatile spaces that speak of beauty and uniqueness. Restaurant owners are now looking for kitchen appliances that are not only functional but also look impressive. Most of them are replacing their old catering equipment with modern equipment. 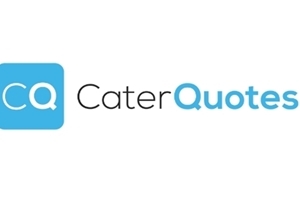 In fact, a recent study that focused on the catering equipment replacement habits of more than 300 chefs and operators confirms that equipment replacement in the food service sector has increased over the years. According to the study, 67% of those who participated in the study had replaced kitchen equipment over the last 12 months. The study also indicates that respondents considered the design of an appliance before they bought it. The increasing demand for good looking alliances is forcing manufacturers to consider aesthetics in their kitchen design. Restaurants, especially pizza and Italian restaurant, have embraced open kitchens. How do open kitchens work? A chef cooks within the view of diners. Most food businesses are going for open kitchens mainly due to space constraints. Experts say that more restaurants should embrace open kitchens to improve transparency and attract more customers. 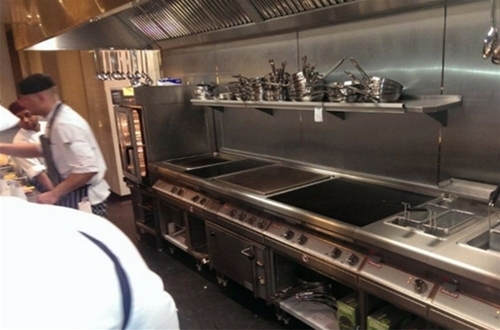 Commercial kitchens are expected to get even smaller in future. For this reason, manufacturers, distributors, and commercial restaurant owners have to adapt to cope.